Are you looking for a special gift for a family member or your friend or colleague this Christmas? Irrespective of the occasion when it comes to gifting someone on a special day you always want to choose something that is unique and memorable. It isn’t an easy ask when you are gifting someone every year and you might already be scratching your head looking for options. If your friend of colleague happens to be a whiskey lover your task gets just a shade easier. You can make the occasion even more special with whiskey accessories gifts. There is nothing more that this special person would enjoy than sipping their favourite spirit with every drink made special with your unique gift. What makes a gift special? It surely has to be something that is useful and something that is memorable. Forget giving your employees or colleagues a Christmas Ham this year…it’s gone in just days…delicious as it may be, it’s consumed and forgotten about in no time. A whiskey making kit on the other hand would be useful and something that your friend would cherish for life. It may just become a life long hobby and this is something you’d love when it comes to gifting someone on a special occasion. The same can be said for whiskey decanters and whiskey glass sets…gracing the hands of your gift recipient for years to come. Talk of buying whiskey accessories and you will be spoilt for choice. There is a wide selection to choose from as the whiskey market has been in place for centuries. 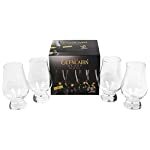 Visit a dedicated online store that sells whiskey gift items and you’d find an impressive collection of whiskey accessories. From diamond cut whiskey glasses to whiskey rocks and books that offer ideas to some of the finest cocktails…there is lot you can choose from. So next time you are planning to buy a gift for those special people on a special occasion, think of whiskey drink accessories. Every time they sip their favourite drink they’d remember you…how’s that for a sense of gratification? We hope you enjoyed this blog about gifting someone special whiskey drinks accessories on a special occasion and how it would make the occasion memorable. If you have any great gift ideas for a whiskey lover this Christmas, we’d love to hear them. Leave us a comment below!